As we approach Valentine’s Day I couldn’t resist the urge to write about working from the heart. 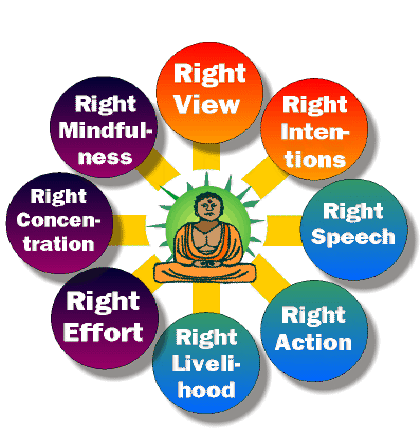 I like the teachings of the Eight Fold Path in Buddhism as a roadmap for working with a pure heart. In the Buddha’s sermon on how to eliminate suffering and achieve self-realization, he outlined eight ways to bring peace, compassion, and wisdom to your life and by extension into the world. If you want to find more ways to bring a pure heart to your work, consider these eight practices. The concept of Right Livelihood refers to work that is honorable, makes the world a better place, or at least does no harm by killing or destroying life. Right Livelihood does not stand alone. It must entail the other approaches as well. Even working for a noble cause, you could not have Right Livelihood if you are not honest, take advantage of others, do not act with good faith. The other folds of the path to enlightenment, such as Right Action, Right Speech and Right Intention, all have to be taken into consideration to walk the path of peace and compassion, to work with a pure heart. So I invite you this week to focus on these steps as a way to bring your best self to your work, to bring peace and compassion to your work place. Pay attention next time to speak to a co-worker to see if you are speaking with a pure heart. Are you speaking with compassion, wisdom, honesty? Is your effort and concentration focused on accomplishing what you are hired to do? Are you setting the right intention and doing the right actions to serve your clients in an honest, caring way? May this be a time for greater awareness of your pure heart at work. Write to us and let us know what insights or aha’s you achieved following these eight practices.